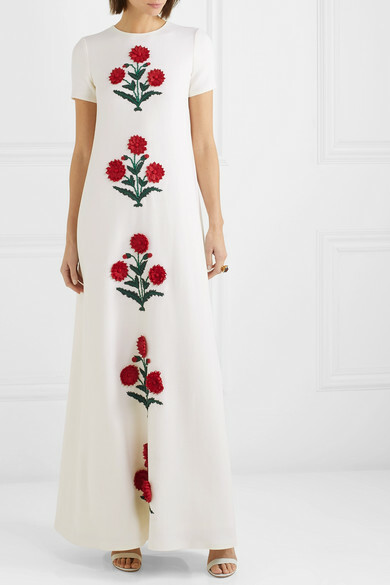 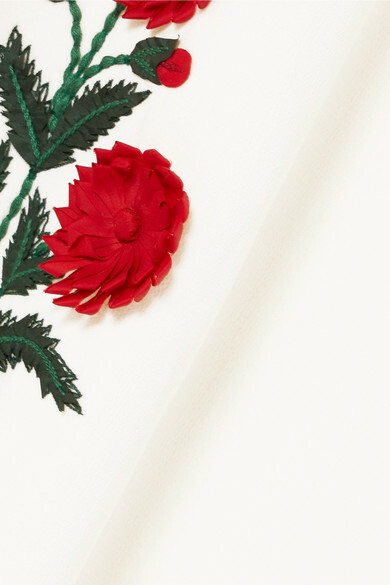 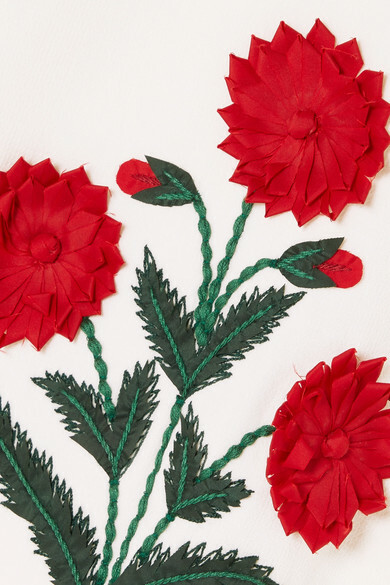 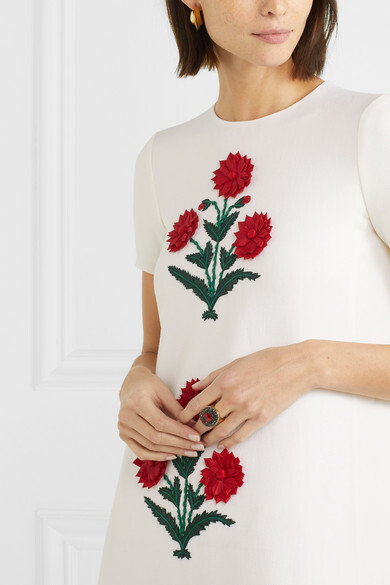 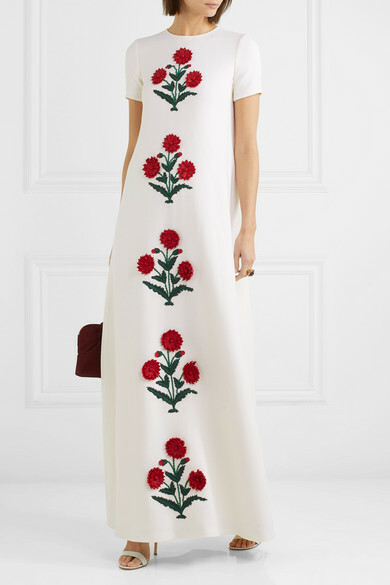 Oscar de la Renta's gown is inspired by an archival style designed by the label's founder for his Spring '11 collection - both are hand-embroidered and appliquéd with textural red poppies. 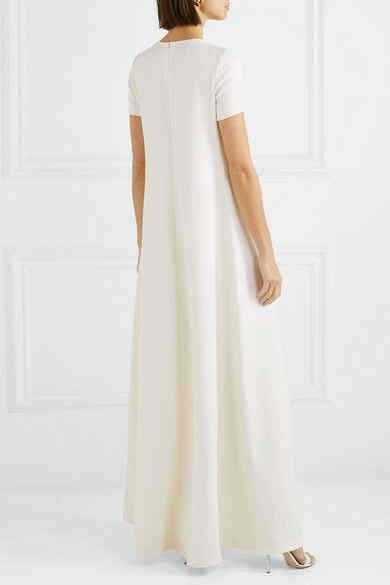 It's made from substantial grain de poudre wool-blend to pronounce the column silhouette and underpinned with a petticoat. 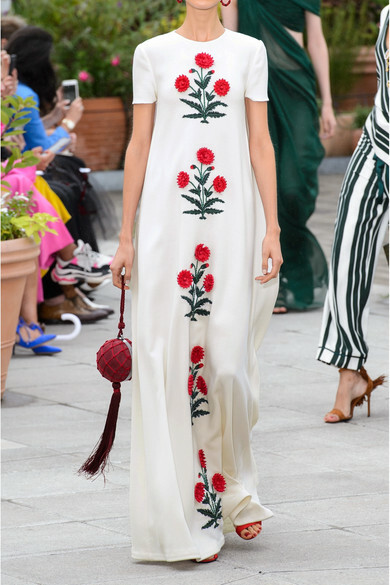 Shown here with: The Row Clutch, Gianvito Rossi Sandals, Alexander McQueen Ring, Kenneth Jay Lane Earrings.